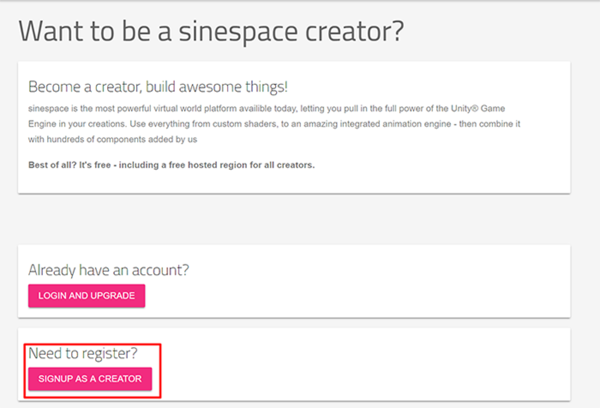 Step 1.Register a creator account. To become a content creator, you will need to sign up for the creator program. To sign up for a creator program, go to our main website and click on Sign up Free. Enter a username, your email address and password then click on the Join button. Once you are on the Download page, click on the Creator Program button. This will take you to our Creator page. Once on this page, click on the Sign Up button. You will then be on the Creator Program page. Scroll down to Join Creator Program, and fill in the details. Please use a valid email address as you will need to verify it. Once you have filled in the information, click on Join Creator Program. 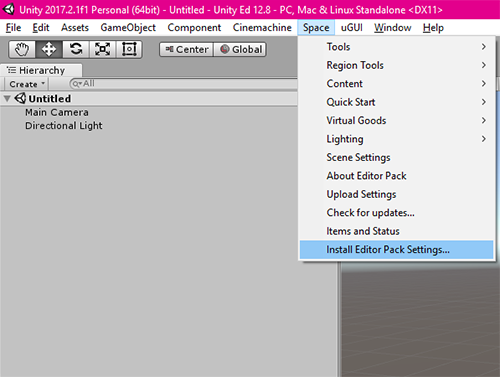 See Unity Installation for the current version and installation walkthrough. Please note: we use a specific version (or range of versions) of the Unity editor, see the Unity Installation page for more details. Other versions may not work. The Space Editor Pack is an add-on for Unity which allows you to upload your content to Sinespace and contains all of the necessary components you will need for various content. You can find the Editor Pack versions on our Editor Pack page. 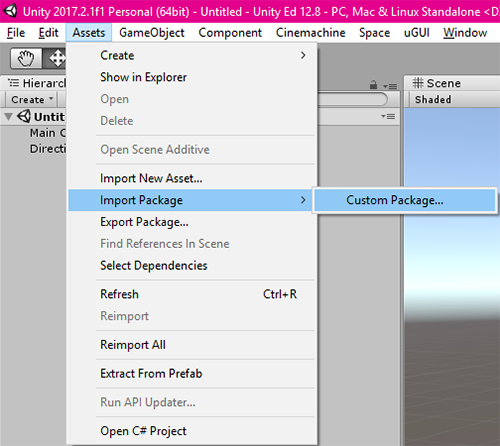 In the top menu of Unity, click Assets / Import package / Custom package. Select the Editor pack you have downloaded from the link from above. This will usually be in your PC's Downloads folder. It will take a few minutes to unpack all the assets. 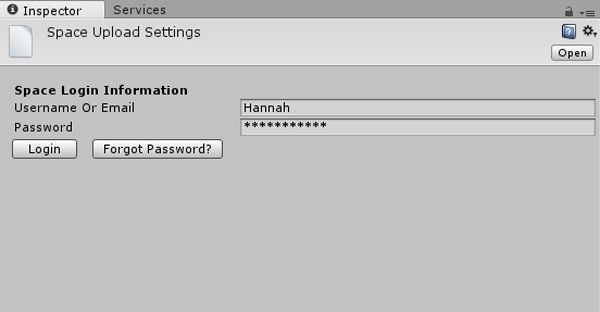 When the Import Unity Package window pops up, click on 'All' at the bottom of the window, then click on 'Import'. Note: Do not install the standard asset package as space package already has it. Add your real name, a business name if you have one, review and accept the EULA for content creators. Congratulations! You are now ready to create and upload content to the Space virtual world!